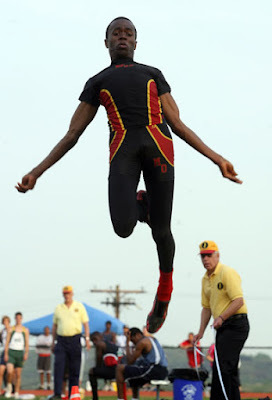 for the triple jump, i always get photos like the one above. sometimes there is only sky, sometimes there is less sky, the expression of the athlete changes, but basically it is the same photo. 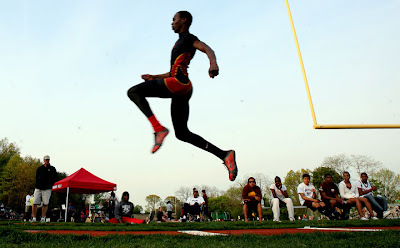 below is the "hop" portion of the triple jump and my attempt to get a different photo of the event...it isn't perfect, but i'm going to start trying to work with this idea to get different angles on the events. 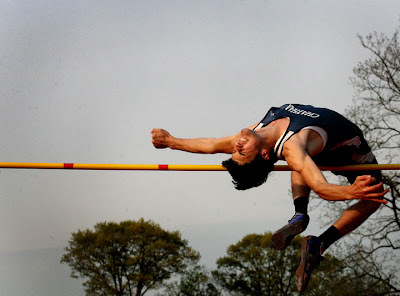 this kid broke a meet record in the photo below.